The bestselling, most comprehensive guide to home improvements has been revised and updated once again since it’s revision in 2005. Over 10 million copies of READER’S DIGEST COMPLETE DO-IT-YOURSELF MANUAL have been sold since it’s original publication in 1973. 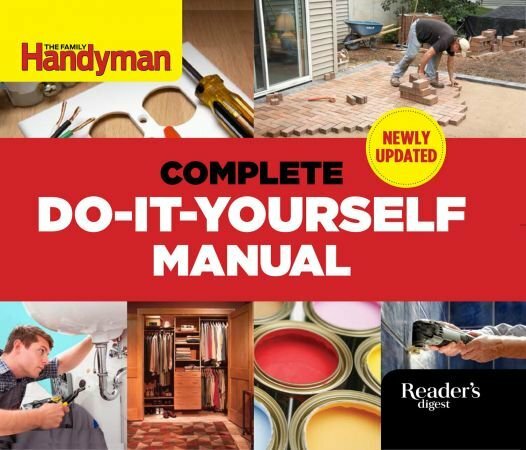 In 2005, the manual got bigger and better than ever, when The Family Handyman and Reader’s Digest joined forces and completely revised, updated, rewrote, and redesigned this home improvement classic. Now in 2014, The Family Handyman has once again updated and revised this do-it-yourself classic to make it relevant to today’s homeowners and DIYers..
New building materials that yield great-looking, long-lasting results—and low maintenance!